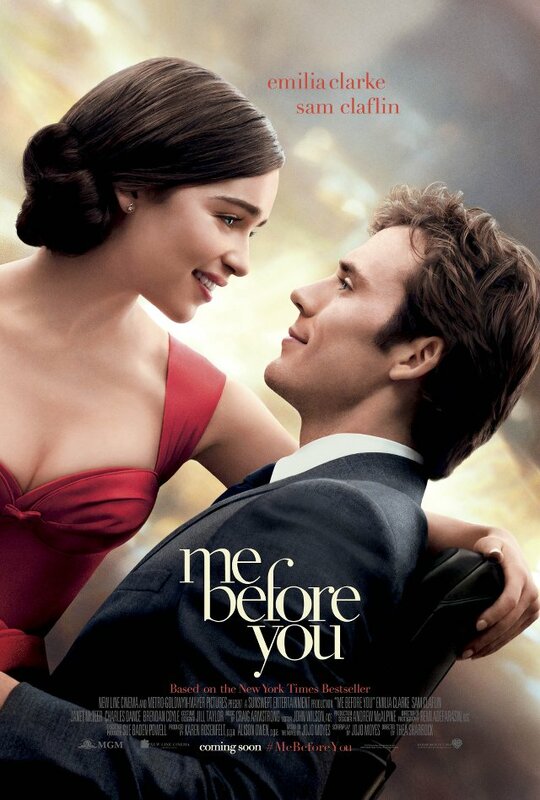 Jojo Moyes' best-selling novel, Me Before You, is coming to the wide screen this year. This inspiring chronicle of love will likely haul new fans for the author and the stars that played the main characters, which you can both see in this simply beautiful movie poster. Emilia Clarke and Sam Claflin played the main characters -- Louisa Clark and William Traynor, respectively. They will be joined by Jenna Coleman as Katrina Clark, Charles Dance as Steven Traynor, Matthew Lewis as Patrick, Ben Lloyd-Hughes, Janet McTeer as Camilla Traynor, Vanessa Kirby as Alicia, Brendan Coyle, Steve Peacocke as Nathan, and Samantha Spiro. This Warner Bros. adapted feature length presentation is directed by Thea Sharrock. Watch the new trailer of Me Before You, introduced by the novel author herself, Jojo Moyes. Louisa "Lou" Clark lives in a quaint town in the English countryside. With no clear direction in her life, the quirky and creative 26-year-old goes from one job to the next in order to help her tight-knit family make ends meet. Her normally cheery outlook is put to the test, however, when she faces her newest career challenge. Taking a job at the local "castle," she becomes caregiver and companion to Will Traynor , a wealthy young banker who became wheelchair bound in an accident two years prior, and whose whole world changed dramatically in the blink of an eye. No longer the adventurous soul he once was, the now cynical Will has all but given up. That is until Lou determines to show him that life is worth living. Embarking together on a series of adventures, both Lou and Will get more than they bargained for, and find their lives—and hearts—changing in ways neither one could have imagined. Me Before You will hit cinemas on June 3, 2016.